Looking for a flexible and easy event countdown module? 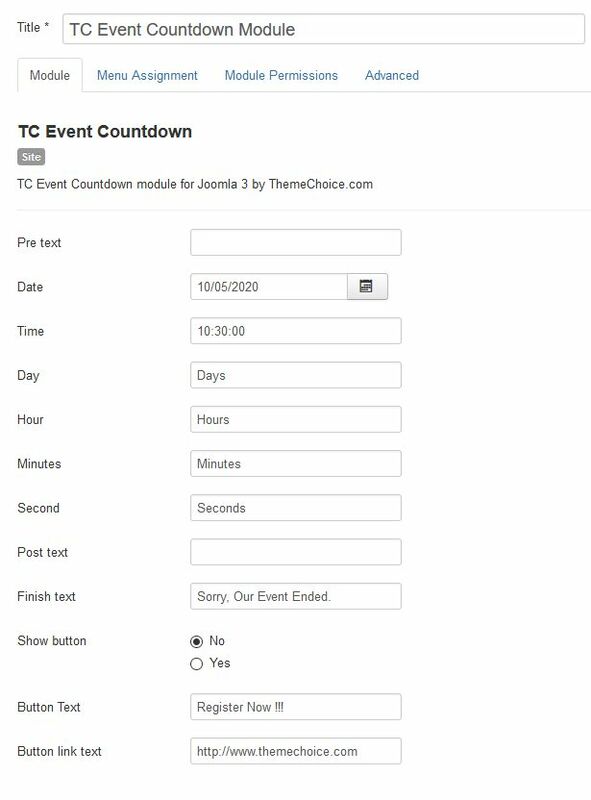 Then TC Event Countdown module for Joomla is what you need. 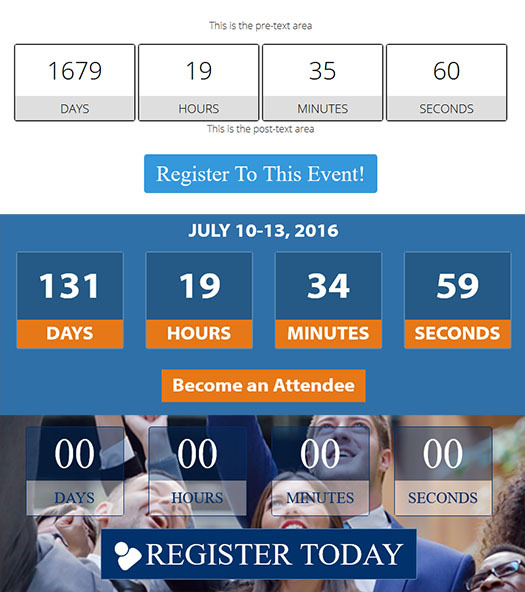 TC Event Countdown module for Joomla is an easy way to display a countdown to your next event. TC Event Countdown is mobile friendly and responsive. You can add a custom pre-text message as well as a post-text message above and below the countdown boxes. Calls to actions are very important when getting people to sign up to your event so we have included an option to show a button that you can add your own custom text and link. You can easily edit and style the module CSS file to match your template or custom design. Fixed an issue with the text not updating for the custom text fields for days, hours, minutes, and seconds fields.